Joey Tramontana from Hull, Mass. was chosen by the Jimmy Fund to throw out the first ball in the 7th game of the 1975 World Series. After an exciting Game 6, there was no worry about Game 7 being anti-climactic. Reds starter Don Gullett started having control problems in the third inning. After giving up an RBI single to Carl Yastrzemski, Gullett walked Carlton Fisk to load the bases. He then walked Rico Petrocelli and Dwight Evans to force in two more runs. However, that would be it for the Sox scoring. 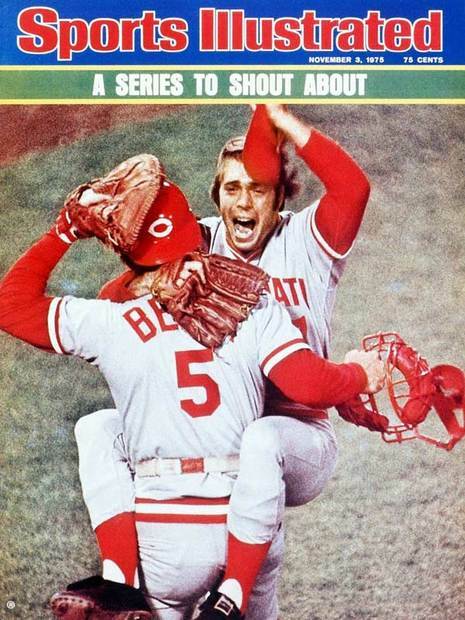 Bill Lee shut out the Reds through five innings, but, in the sixth with a man on, he tried to throw a slow lob pitch (his famous "Space ball" or "Leephus pitch", an Eephus pitch) to Tony Pérez. Pérez hung back, waited for it perfectly, and blasted it for a two-run homer, his third in three Series games. Now, the score was 3–2. The Reds tied it in the seventh when Ken Griffey walked, stole second, and scored on a two-out single by Pete Rose. In the ninth, Griffey led off with a walk, was sacrificed to second by César Gerónimo, and went to third on a groundout. Sox pitcher Jim Burton then walked Rose to set up a forceout, but then gave up a bloop single to Joe Morgan to score Griffey with the go-ahead run. Will McEnaney retired the Sox in the ninth, closing out an unbelievable World Series.